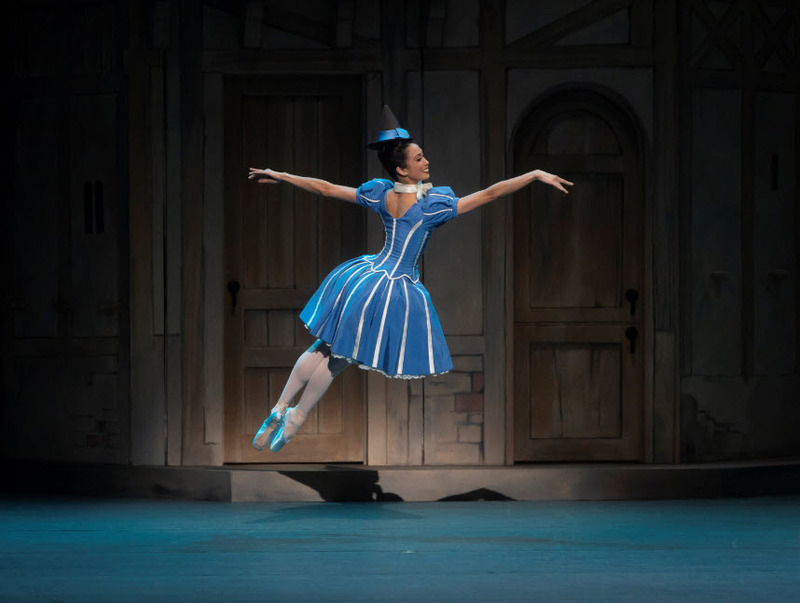 Stella Abrera in Harlequinade. Photo: Erin Baiano. 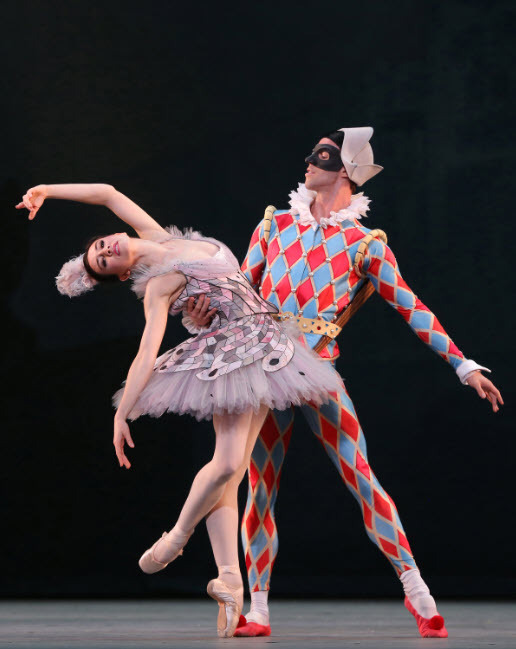 If your taste runs to ballet en pointe in the classique style, then you are going to adore Harlequinade. Set in a medieval town at the crack of the 20th century in Italy, this charming love story has all the elements of Shakespeare. Boy from the provinces falls for well-to-do ingenue and her father heartily disapproves. Yet with a little magic in the form of a Good Fairy, love finds a way. It’s no spoiler to reveal the happy ending, it’s what we’d expect. What’s exciting is ABT’s adoption of Marius Petipa’s original choreography which received its world premiere at the Hermitage Theater in Saint Petersburg, Russia in 1900. Petipa had by then been principal choreographer at the Mariinsky Theatre for 30 years and had created such iconic ballets as The Sleeping Beauty, Swan Lake and Don Quixote. In the mid-60’s George Balanchine had his hand in it with the New York City Ballet and the pas de deux choreographed by Ben Stevenson with costumes by Ray Delle Robbins, had wowed audiences at the Met with Rebecca Wright and Kirk Peterson in 1979. In 1983 Balanchine reprieved the ballet with Cheryl Yeager and Mikhail Baryshnikov. How did the company discover Petipa’s original steps? The notations were in the Harvard Theatre Collection! 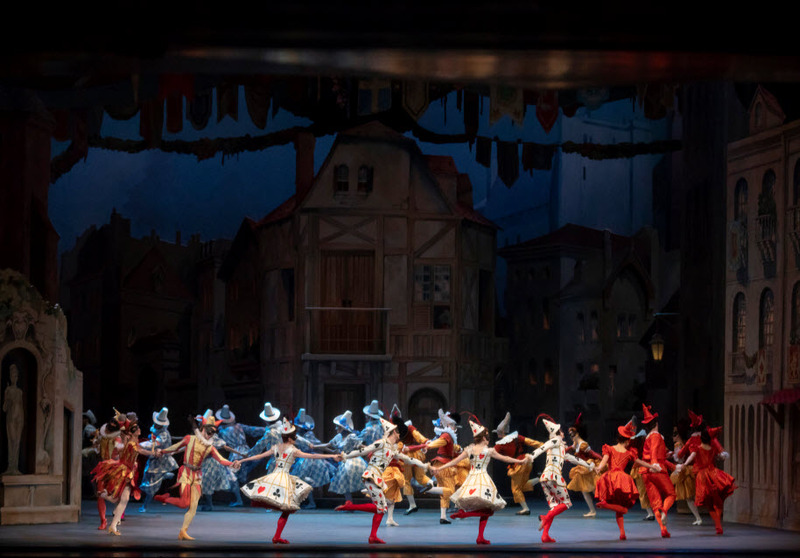 Costumes and sets are inspired by the original production, so basically, you are seeing the ballet as it would have been experienced in the Russian capital in 1900. Tuesday’s opening night production of Harlequin was danced by James Whiteside, who was aerially spectacular as he leapt to incredible heights and turned like a spinning top, and the enchantingly delicate wisp, Isabella Boylston in the role of Columbine, his beloved, with Alexei Agoudine as Cassandre (Columbine’s papa) and Thomas Forster as Pierrot providing much of the humor. Stella Abrera was indelibly riveting as Pierette, and I will keep an eye out for in future productions. It’s an enormous cast with seven principals, dozens of minor roles and 34 of the most adorable children – students from The Washington School of Ballet. Scene from Harlequinade. Photo: Erin Baiano. And, oh, the fanciful costumes and millinery confections – from mobcaps to tricorns to feathered frippery. Harlequin in diamond-patterned satin leotards and Pierrot in a comical white satin jumpsuit with elongated sleeves making him appear a bit like those blow-ups on car lots when they catch too much breeze. Recommended for lovers of classical ballet and those with fanciful imaginations. 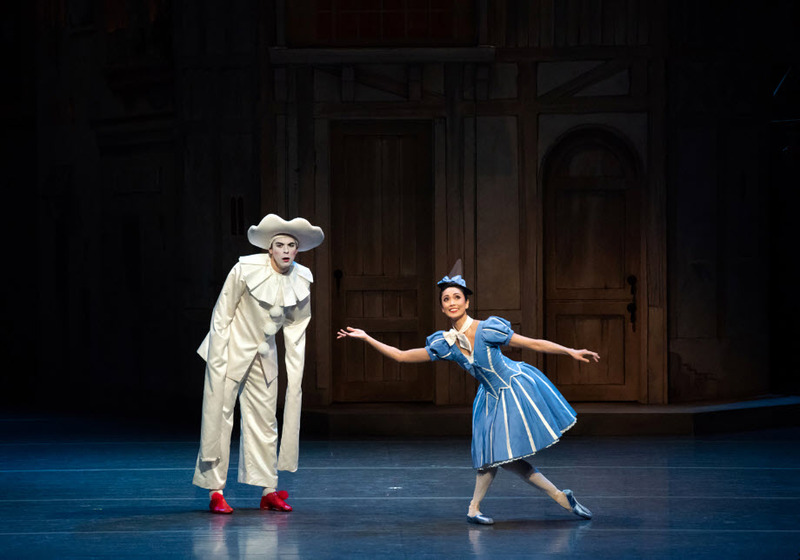 Seen with Alexei Agoudine as Cassandre; Thomas Forster as Pierrot, Cassandre’s Servant; Stella Abrera as Pierette, Pierrot’s Wife; Duncan Lyle as Léandre, Columbine’s Wealthy Suitor; and Tatiana Ratmansky as the Good Fairy. The Kennedy Center Orchestra conducted by David LaMarche with Staging and Additional Choreography by Alexei Ratmansky; Assisted by Tatiana Ratmansky; Music by Riccardo Drigo; Scenery and Costumes by Robert Perdziola; Lighting by Brad Fields. Through February 3rd in the Opera House at The John F. Kennedy Center for the Performing Arts, 2700 F St., NW, Washington, DC. For tickets and information call 202 467-4600 or visit www.Kennedy-Center.org.